The first Taco Bar and Mezcaleria of it’s kind! Experience Pre-Hispanic culture at Mayahuel. Mezcal is the original Tequila, made with Wild Agave varieties in the Pre-Hispanic tradition. It is synonymous with the beauty of a culture whose history dates back as early as 8,000 B.C., with the formation of early villages in Mesoamerica. The process of making Mezcal is slow and meticulous, and has changed little over the centuries. Known as the ‘Nectar of the Gods’, Mezcal has a flavor quite unique and different from Tequila. Most of the Mezcal created today still begins with wild Agave harvested in arid, mountainous areas of Mexico. Slow growing and beautiful, many of the varieties of wild Agave take from 50-70 years to mature. The Master Distillers are proud of their craft – and respectful of the land. The preservation of the wild Agave is essential to them, and results in sustainable harvesting methods and small-batch production. 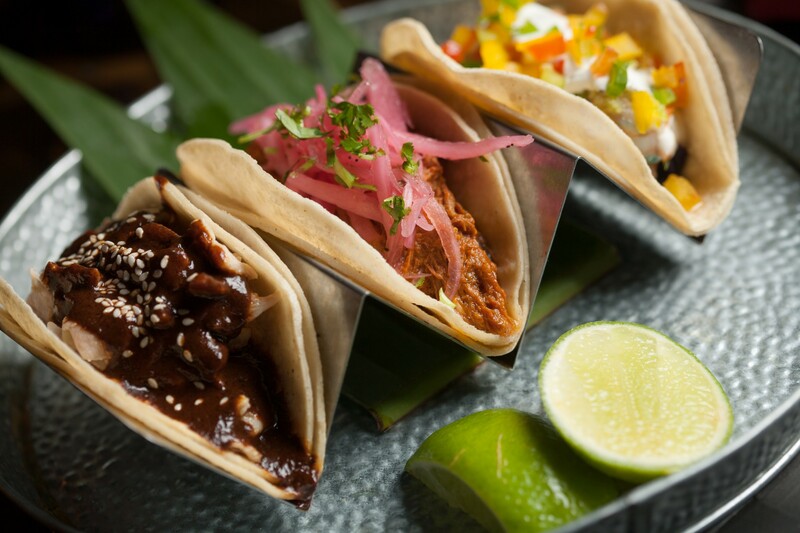 Our Taco Bar features ingredients authentic to the spirit of an indigenous culture which has existed in the mountains of Mexico for many centuries, and is designed to pair perfectly with the aromas and flavors of fine Mezcales. 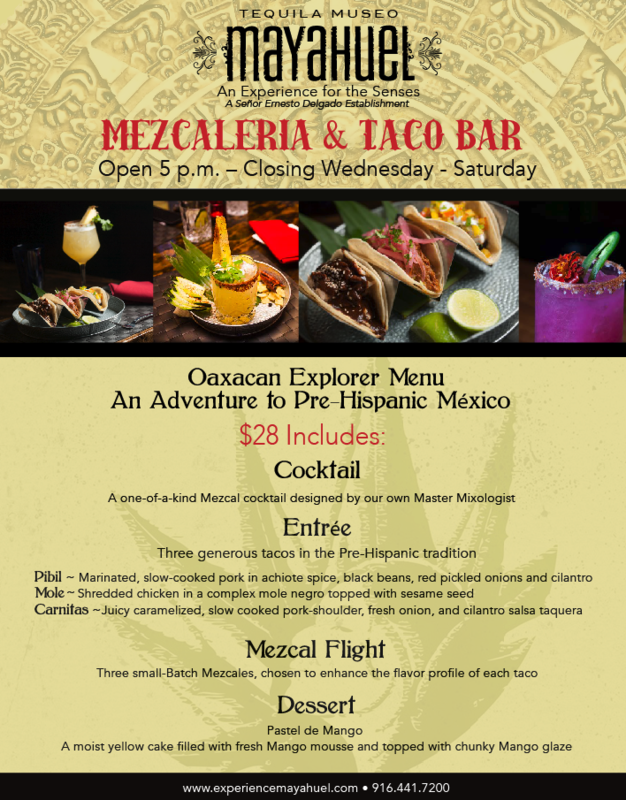 To Know Mezcal is to Know Mexico – savor the unique experience of our Taco Bar y Mezcaleria!